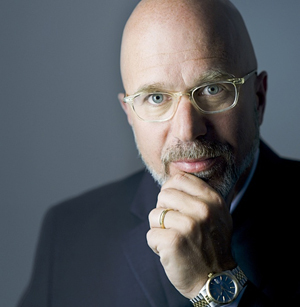 Michael A. Smerconish, lawyer, author, national radio host and television personality, joined Kline & Specter in 2011 as of counsel attorney. He was previously of counsel at The Beasley Firm, where Tom Kline and Shanin Specter were his colleagues before forming their own firm in 1995. 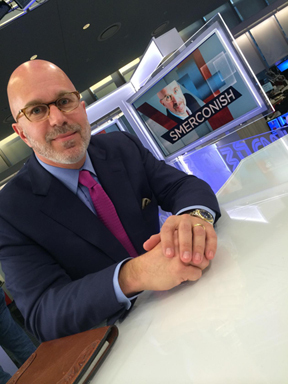 Smerconish has focused on legal cases ranging from complex tort matters to business litigation. In recent years, Smerconish has become celebrated for his media endeavors, particularly The “Michael Smerconish Program” which airs nationally on SiriusXM radio (POTUS Channel 124) featuring commentary and interviews. 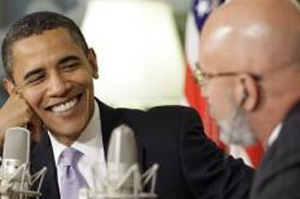 Smerconish has interviewed five U.S. presidents and in 2009 he became the first radio host to interview President Barack Obama live from the White House. He is the host of CNN's "Smerconish" which airs internationally on Saturday mornings beginning at 9 a.m. EST. Smerconish was a longtime columnist for The Philadelphia Daily News and Inquirer and has authored seven books, the most recent of which is Clowns to the Left of Me, Jokers to the Right: American Life in Columns. Prior to turning to broadcasting, Smerconish practiced law for ten years with James E. Beasley, the legendary Philadelphia trial lawyer. Among his clients were the Philadelphia Fraternal Order of Police – in an action against a music group responsible for publishing an FOP photograph on an album cover that advocated the murder of police – and the City of Rome, Italy in a case that involved a contract dispute. A litany of medical malpractice suits, including those in which he represented the family of a boy who died after an esophageal dilation that involved substandard administration of anesthesia; a Pittsburgh boy who became legally blind after his pediatrician failed to diagnose craniosynostosis; and a diplomat who lost an eye in a case in which doctors failed to diagnose cancer. Legal action with Beasley on behalf of a Philadelphia boy who was badly burned over most of his body when his home was destroyed by fire after PECO terminated electricity. The fire started after the boy used candles to be able to see in the house. A case involving a Philadelphia developer who conceived of the construction of a music amphitheater in Camden only to have his plans appropriated by the eventual builder of the structure that exists today on Camden's waterfront. Representation for a city union organizer who was beaten by the managers a Philadelphia hotel where he was seeking to arrange a union vote. A lawsuit on behalf of a Philadelphia deputy mayor against the author of a best-selling book who improperly linked his conduct to causing a high-profile murder. The high-profile case on behalf of the family of a man who died when his 911 call was diverted by a Philadelphia operator of a private ambulance service that never found his house. An auto accident case for a Lehigh Valley couple whose infant died after a part broke free from an oncoming truck, smashed through the windshield of their minivan and struck the child in the head. Reverse discrimination litigation against the Southeastern Pennsylvania Transportation Authority (SEPTA) by a prospective contractor. Representation, with Beasley, of a professional boxer in a suit against promoter Don King in which the client won the chance to fight in an important bout which, had he won, could have led to a heavyweight title fight. Smerconish concentrates much of his time now on his media career, namely hosting his daily radio program on SiriusXM and his television show on CNN. Additionally, he has been a guest on virtually every television program where politics is discussed, including ABC's "The View," HBO's "Real Time with Bill Maher" and NBC's "Today Show." In the early 1990s, Smerconish was regional administrator and federal housing commissioner with the U.S. Department of Housing and Urban Development for Philadelphia Region III comprising Delaware, Maryland, Pennsylvania, Virginia, West Virginia, and the District of Columbia. Smerconish is a Phi Beta Kappa graduate of Lehigh University and a graduate of the University of Pennsylvania Law School. He is a past member of the Board of Directors of the Philadelphia Trial Lawyers Association.